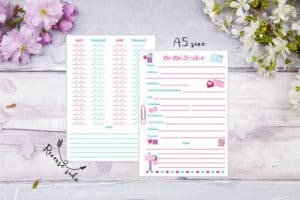 We are looking at two different Pen Pal Mail Organizer Options, the idea is to help keep up with the details when Letter Writing several different people. The first one is a digital printable, and the second is for twelve A5 planner inserts with printing on both sides – think of Filofax size. There must be something about having ‘back to school’ in the air along with organizing on a Sunday. It was almost a year ago we were looking at my post on Sunday Letter Writing Organization (8-27-2017). The first option we are looking at is the instant digital download PDF offering at the quietlywritten Etsy Shop. 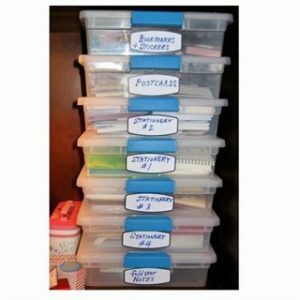 The printable Pen Pal Mail Organizer pricing is two dollars. 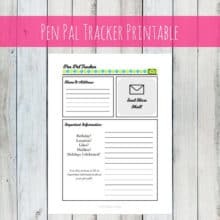 “The Pen Pal Tracker is a way to track important stats for your pen pal, their address, letters sent, and letters received. “You will receive 12 A5 planner inserts which are printed both sides and punched to A5 planner specifications. In addition to the $6.56 pricing, please note the shipping is from the U.K. This means it is showing shipping to the U.S. to be an additional $7+ (at least to my location); however, it is showing free postage within the U.K. Enjoy exploring these ideas for keeping up with our Pen Pals!